The spiralizer is about to become your best friend-long used by chefs to create beautiful presentations, spiralizers have now found their way into the kitchens of everyday families. Available at most cooking, department, and home stores, the spiralizer is quickly becoming a kitchen essential. 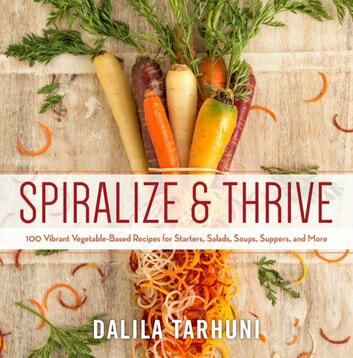 Just about any vegetable can be spiralized-simply insert your choice veggie, crank the handle, and watch beautiful, evenly shaped ribbons of carrot, zucchini, and peppers come out the other end. Any of these can be combined to create a variety of delicious, low carb, healthy meals, many of which fit right into a paleo or gluten-free lifestyle. This cookbook will be a great addition to your cookbook collection, no matter which cuisine you prefer. What are you waiting for! ?